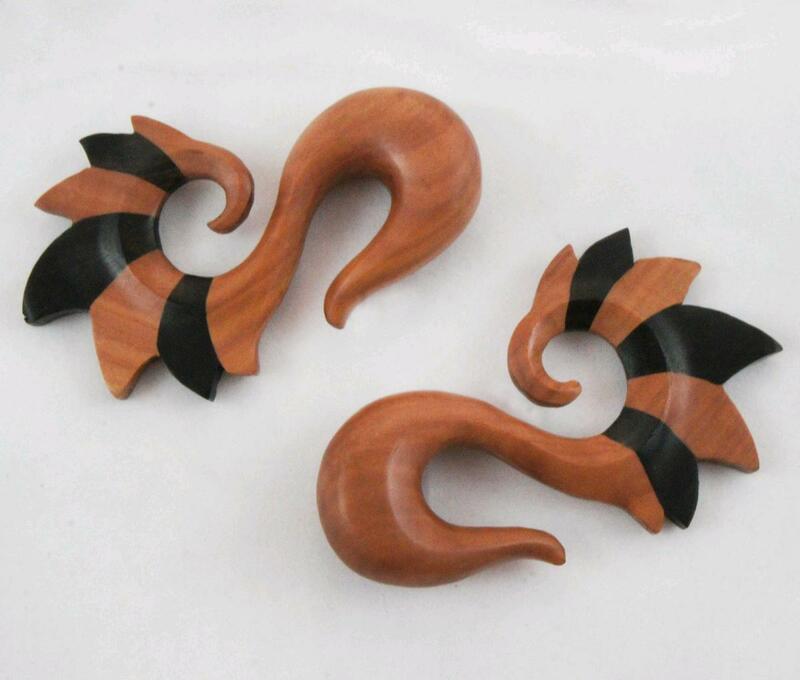 Fusion of both Sono and Ebony Wood results a stunning pair of outwardly flared gauged earring hangers. 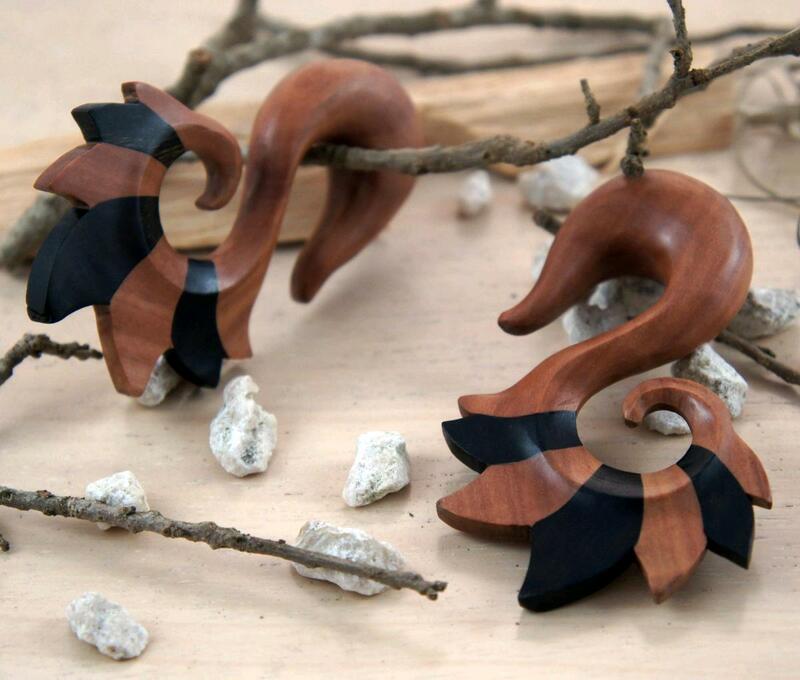 These gauges offer a slight twist on conventional gauged ear hangers in that instead of the hanger flaring inwards towards the face they flare outwards away from the body for maximum presence. The wood is carved in a spiral design with each flare of the spiral switching between the darker Ebony tones and the lighter Sono Wood. 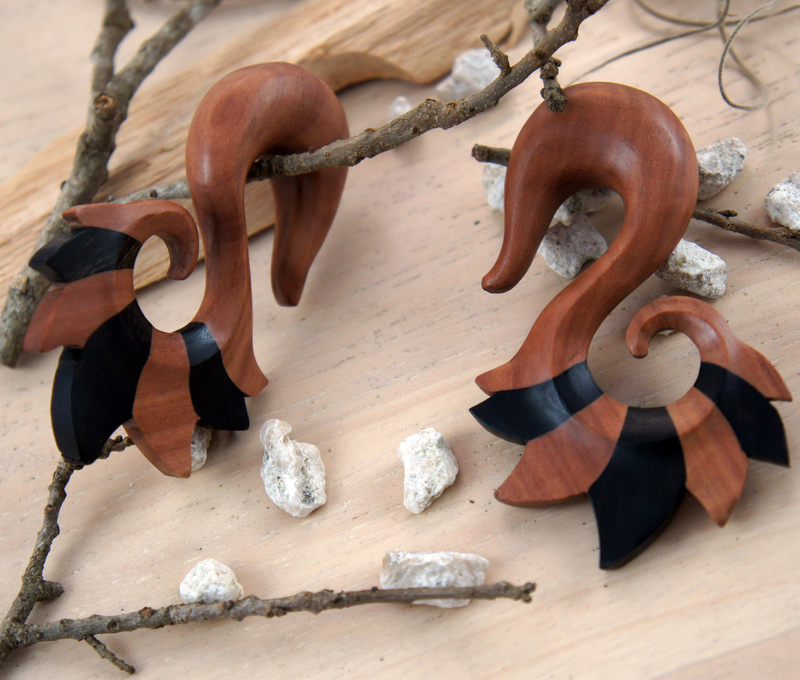 The actual gauge portion of the earring (ear hanger / hook) is crafted from the lighter toned Sono Wood. As with all of our gauged earrings we try to carry most of the popular gauge sizes, but if you don't see your size listed please feel free to contact us or check back later since we're constantly restocking or adding new sizes and styles to our line.